The Ryoshin-Kan Karate School in Virginia Beach, virginia will host a Goshinjitsu Seminar by Grandmaster Dale Stengele on Saturday 20 September 2008 from 10AM to 12 Noon. This Seminar is open to all Adult and Youth Martial Artist from all styles, schools and ranks. Goshinjutsu is the use of military methods against genuine situations (muggings, blade assaults, firearm incapacitates, and so forth.). Different expressions educate goshinjutsu, maybe the most well known being Kodokan Judo. Ostensibly, ukemi (break falls) can be an essential piece of goshinjutsu, and is the in all probability angle to be utilized. I attended Grand Master Stengele's and Grand Master Thompson's Seminars the last two years and they are great. I am looking forward to participating in the upcoming September 20, 2008 Seminar. 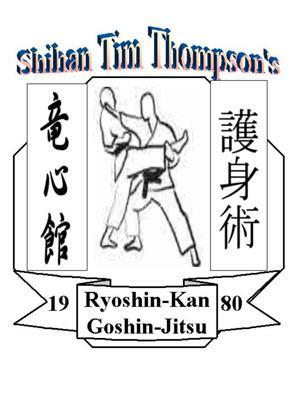 Sensei (Master) Thompson's Seminars on Karate, Weapons, Self-Defense and Breaking are very educational and fun. His Ryoshin-Kan Karate School and Dragon Force Karate Demo Team are World and National Karate Champions. They are the Best of the Best in the Martial Arts.